Inject a bold, rich color accent into your home with this red bell lamp shade with top and bottom trim. This bell lamp shade has a rich, red color that will enliven your lighting fixture. It features a top and bottom self-trim. Recommended for use with maximum 25 watt incandescent candelabra bulbs, or LED candelabra bulbs. Clip-on style lamp shade in a red fabric with self trim. Looks similar to the one I am replacing. I like red and my chandelier is perfect for this shade. I may end up ordering black after I see these . Because I need to replace the ones I currently have. The red color makes our family room pop. To replace a similar one. Hope I like the color. We already have these shades and are moving to a new home where the new chandeliers are slightly bigger. I was happy to actually find the needed amount we needed vs having to buy all new. The color of this shade is perfect and it's hard to find. Does this come in 11”deep? 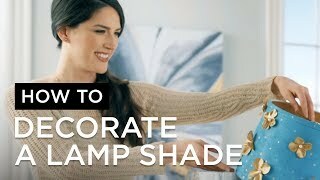 BEST ANSWER: No, but the closest to that measurement is shade Style #32J90. With the increase in the shades width, it will generally increase the shades other measurements. Is this a blue red or an orange red? BEST ANSWER: They are more rust colored. Slightly more orange than blue, but with some blue. It is a blue red. Quickly added color above the dining room table. Gorgeous material and the perfect color. These are attractive and do the job, but nothing out of the ordinary. Recently moved to a new home and my dining room and entrance lights were larger. I had this shade at the old house and loved the looked. Was so happy to find it still available and at such a great price. Lamps Plus is always my first go to place for lighting needs. 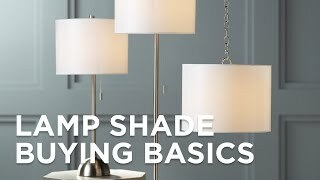 put new shades on an outdated chandlier to give it an new modern updated look. Delivery was prompt and the product was well packaged. Clip this cream linen shade on your candelabra chandelier for an instanteasy-fit update.